Gratefulness, for kids, and adults, can be difficult. Each evening over dinner we ask our kids 4 questions. What made you happy today? What made you sad today? What did you do for someone today? 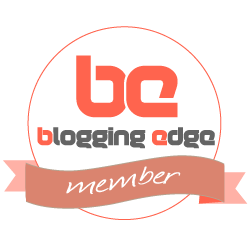 and What did someone do for you today? Without fail, answering the last question is the hardest thing they have to do all day. It’s not that something wasn’t done for them today. I mean, I made them all breakfast and we continued on from there. It’s that they fail to recognize all the things that people help them with throughout the day. And they’re not grateful. So, I started this post before Thanksgiving, because I like to focus more on gratefulness with my children. More than usual that is, gratefulness is an ongoing process. But then, you know, life happened. So I’m just now finishing it up. I really love asking my kids “What did someone do for you today”, it makes them think about what they’ve been helped with and realize that yes, it was really nice of my sister to carry my backpack into the house for me. It’s a good question at the end of the day as we reflect back as a family on how their day has gone. Making kids do chores makes them way more grateful for what I do around the house. My kids hate cleaning the kitchen, but, after having to take on some kitchen duties, because of the new baby, my 9 and 6 year old are way more appreciative of a clean kitchen that they didn’t clean. Giving is a great way for the kids to learn to be more grateful. We participate in our Church’s Thanksgiving baskets and also the Angel tree. This year we picked up some tags for shoes for some local children. It was actually mind blowing to my kids to realize that some kids don’t have access to new shoes whenever they need/want them. It’s important to talk about the blessings that we have and how important it is for us to give to others in need. 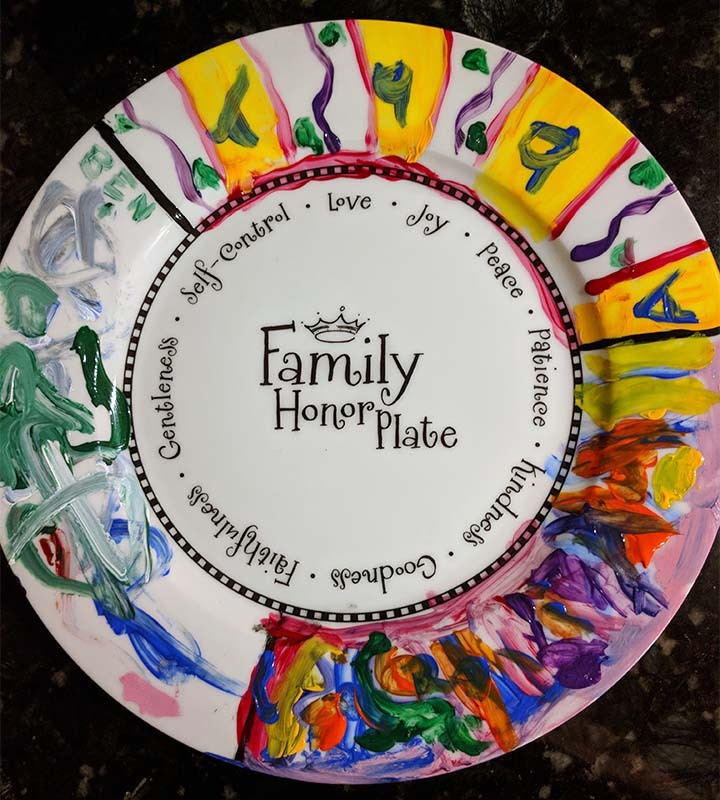 Family Honor Plate – In the interest of fostering gratefulness in my kids this year, I was super excited to review this Honor plate. It comes in this box, with the paint, brushes, and stand in there as well. Basically, you pain the plate, let it dry, and then bake it to set the paint, then it’s ready to use. The virtues are listed in the center of the plate for mom and dad to use as their anchor, their moral compass to guide them in how they need to show up for and to their children. This is how our children learn what character (Christ’s Character) is, what it looks like, what it feels like. Our children are watching us and learning from us. 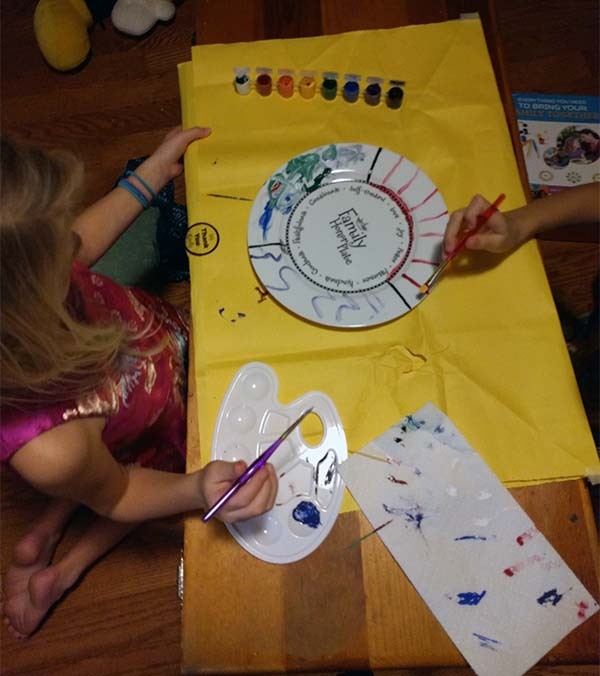 We divided the plate into 3 sections, and each child got to paint a section. I love how their styles are so different! And then the next night we got a chance to use the plate. My 9yr old is singing in the children’s Christmas choir at Church and has tried out for the past 3 years for a solo part and just not been good enough. So, each year she’s worked hard to improve her singing. And this year she finally got a solo part. I was told that she really earned her spot in that she couldn’t carry a tune 3 years ago and has significantly improved to where she can keep up with the choir and sing a solo with a mike. I praised her for her perseverance, which is really a combo of patience and self-control. And she was so excited to be recognized for all her hard work. The choir sings this Sunday and I can’t wait to see how she does! 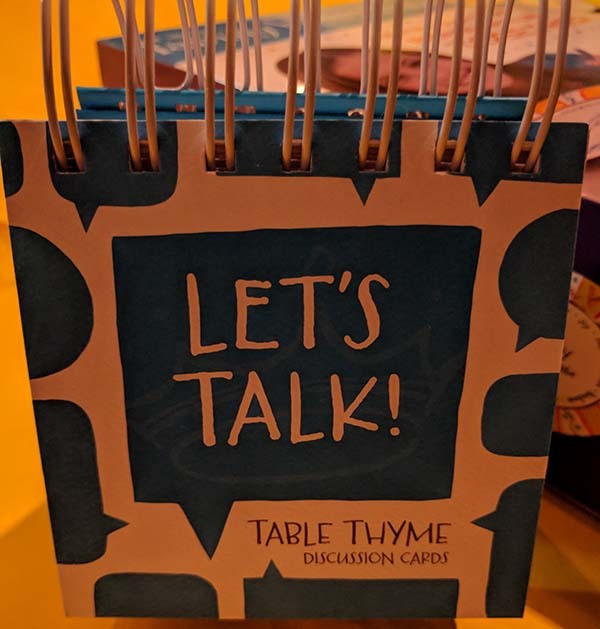 I was also sent a set of Table Thyme Discussion cards. 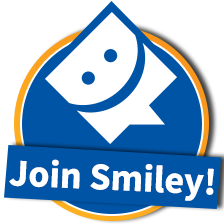 They have some great questions like, “what do you like most about weekends?” or “Tell a funny story about someone at the table”. These are great for dinner conversations and my kids can’t wait to see what the next question is. I’ve even caught them doing these questions together on their own. Every question is followed up with “Why?” to take everyone’s answers to a deeper more intimate level. It’s not just what do you like to do on weekends? It’s also tell me why you like to do that. Have we done that before and you have a fun memory? Or has a friend done it and told you about it? These questions encourage you to hear more than just the answer, but to hear why a particular family member thinks or feels this way. Often I ask one question and we spend all of dinner talking about it, and other nights we go through 5 or 6 questions before we hit one that really sparks conversation. I’ve also learned some really interesting things about my children. Like how they would respond if someone was upset – which was not at all what I was expecting – or what they think I do all day. These questions are so much fun and there’s enough of them in this set to just keep going through them over and over. 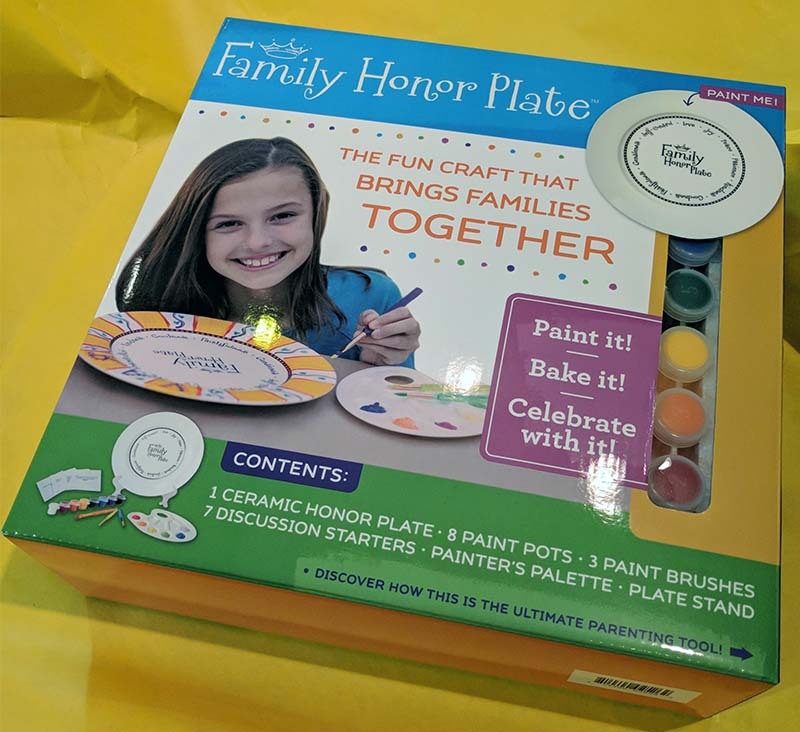 You can purchase these items online at the Family Honor Plate website. 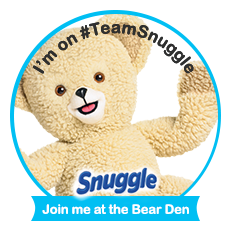 These are terrific products if you’re looking to intentionally enhance family time. I love that you gave each child their own section of the plate. What a great way to encorporate it into your Thanksgiving as well. I am thrilled that the Table Thyme questions are revealing things to you about your children that you didn’t know! I hope this will become a family tradition.